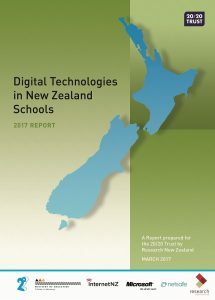 Eight-in-ten principals report that Digital Technologies are having a positive impact on student achievement, according to the latest research results from the Digital Technologies in Schools survey, prepared by Research New Zealand for the 20/20 Trust. enable access to quality learning resources and information online for students (89%). make learning more relevant and engaging for students (82%). enable more personalised teaching and learning (81%). This page is a national summary report card on selected key results from the 2016/17 survey. 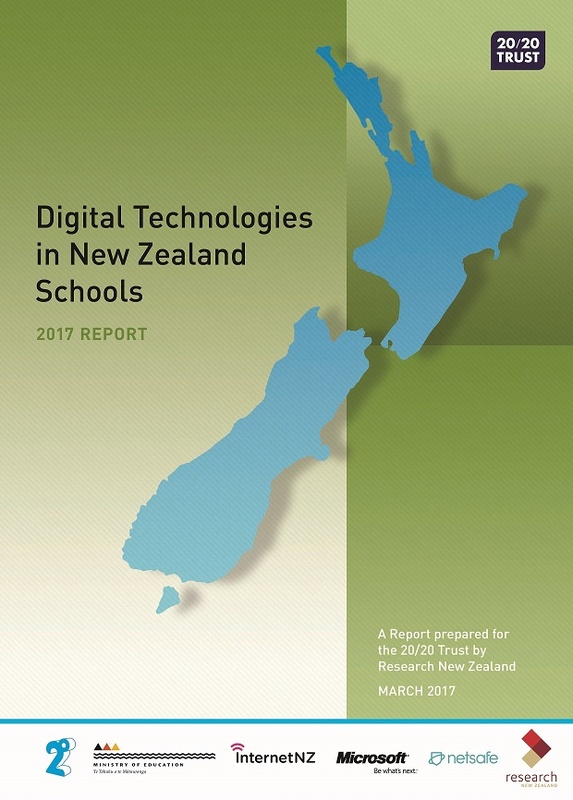 A copy of the complete report (which you can download here) is being sent to every New Zealand school in May. Participating schools also get a confidential report card tailored for each school, comparing its own results with those from schools of the same type. The framework used for the survey is based on the key elements of future-focused learning environments, including planning for digital technologies, digital tools for learning, teacher confidence in managing digital classrooms and integration of digital resources with the curriculum. The survey also obtains feedback from principals on learning impacts and barriers to use. What do future-focused school do differently? engage with their communities using digital technologies. Is your school future focused? 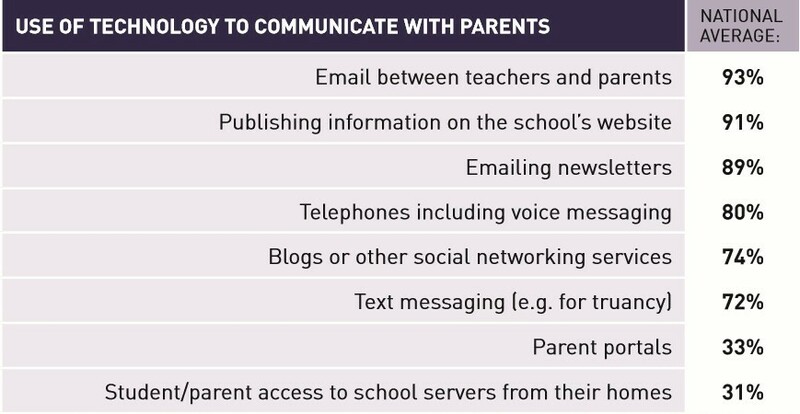 So, how future-focused is your school? How do you rate in terms of tackling these new challenges? Laurence Zwimpfer, Operations & Development Manager for 20/20 Trust, suggests you compare your school against key aspects in the report card below. 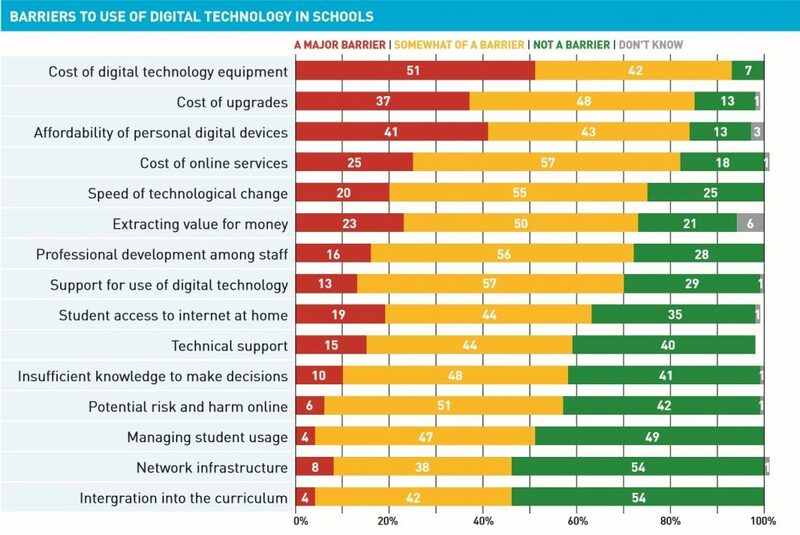 Digital technologies enable access to quality learning resources and information online for teachers (91% agreed or strongly agree with this statement). Digital technologies offer new opportunities for professional development (89%). Digital technologies enable access to quality learning resources and information online for students (89%). Digital technologies make learning more relevant and engaging for students (82%). Digital technologies enable more personalised teaching and learning (81%). The report card and full report are downloadable from the 20/20 Schools Research page as pdf.